Do you ever feel like your emails are annoying people? Or worse yet, have you been told by more than one person that your emails are annoying or intrusive? Or, even worse… they’re getting deleted and ignored and not making you a single sale? 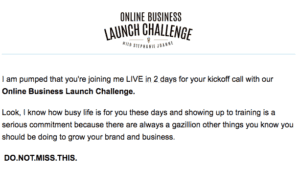 It can be so hard to find the balance between engaging and connecting with your email list while still representing what you have to offer and converting potential clients; believe me, I get it. With the way we’re all inundated with emails lately, you have to have really great content and a reader list that is eager to read what you have to say in order to get your emails opened and potential clients crossing the line to paying clients. If you want to write those emails, though – the amazingly engaging, witty ones that readers look forward to sharing with their friends – I got you covered. So sit back and let’s learn something today. They’ll never open your email if the subject doesn’t connect. Sad, but true. You’ve got less than ten words to get your prospect interested enough to actually click on your email. “Mildly interested” doesn’t cut it – you’re asking for your prospect to set aside a couple of consecutive minutes to read what you have to say, and that’s a lot to ask in a world of busyness and chaos. Your subject line has to promise something. Promise that the value your email provides is worth their time. And time is only getting more and more expensive as we go on, so to be fair, you’ve got to promise a whole lot of value. Don’t feel stuck, though, in thinking that the best way to get your reader to open an email is to bribe them with every insider’s secret you can think of. Value comes in all shapes and sizes, like a calm break from their busy morning, or a funny tidbit to keep them going til lunch, or just the motivational words they needed to hear to finish out the week. To get them to receive that value, it’s your job to make the subject both intriguing and eye-catching so they’ll open the email. Mike, quick question for you. This is basically a super non-committal subject line that gives them no clue what’s inside. Its only job is to get the e-mail opened. I’ve used subject lines like “[FIRST NAME], can we talk?” to drive coaching call appointments. This is also pretty curiosity driven, but really plays on a big benefit you know they want (you did your research, right?). This is the subject line that basically qualifies the recipient before they even open it. Something like “ENDS TONIGHT! 50% off our biggest selling course” isn’t tricking anyone into opening it… but the people who DO open it are interested in potentially buying from you. 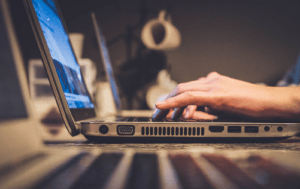 Each of these subject line types has its pros and cons, and the best way to know which one works for you is to test it and see what drives the best traffic. The first line of your email is just .01% less important than the subject line, according to the statistics I’m making up currently. But seriously, the first line of your email has to be killer. Three reasons. You can see the start of the first line right after the subject in most email boxes. We all have similar attention spans to goldfish. You’ve got to hook them into reading the rest of the e-mail – which is the job of the first line. Because of these two reasons, first lines like “Dear Valued Customer,” totally won’t cut it in today’s email marketing. Your prospective customers have to know that you’ve put real time into this email, tailoring it to them, because no one’s got time for reading what isn’t for them. Instead of those dry, uber-professional email starts, stick with something more intimate, like, “Hey Sue!” Or “Good Morning, John!” Whatever fits your personality. See? No, “Hey Alyson” or “How’s it going?” Just straight to the point. For some of us (myself included), not acknowledging the reader seems cold and somewhat narcissistic, and if this level of casual isn’t right for your business, don’t do it. But this is an example of a trend in email marketing showing that it’s totally fine to jump straight into what you have to say without first saying hello and exchanging pleasantries. That being said – you want to use marketing automation to personalize your e-mails because people like seeing their name in print. It doesn’t have to just be at the salutation, though. Another fun thing I like to do is put a headline in front of the salutation! It’s unexpected, but it does the job of getting them into the email. 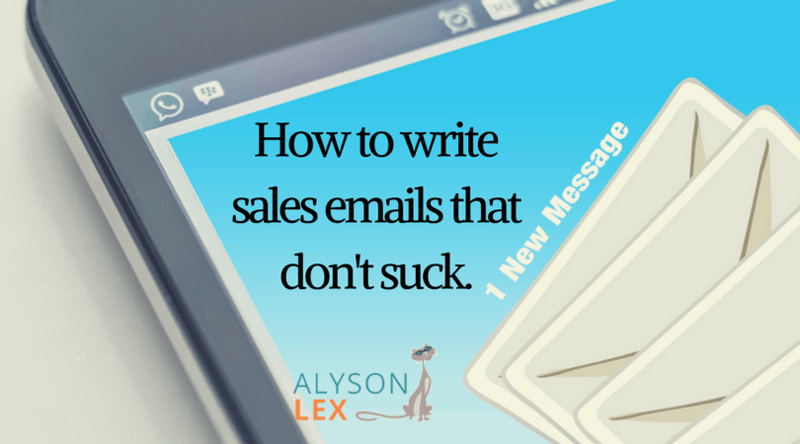 Think of your emails as mini-salesletters and use the same headline formulas that you would use for a sales page. As always, test it out with your audience and see what’s working best before you pick a plan and stick to it. You have to tell your customers what to do. You don’t have to be condescending, of course, but you do have to give your customers clear objectives, and then make it super easy to hit those objectives. If you want them to casually ignore your email, feel free to end it with a sweet goodbye and nothing further. But to maximize your sales, grab those big, beautiful calls to action and get your customer moving! Don’t forget the second most important part: make it easy. Make every.single.link clickable. Make sure every link opens in a new tab, and scrolls right down to the part where they enter in their details. Your customers should never have to work to buy from you – you should do every bit of work possible so that ordering from you is easier than any online order they’ve ever placed before. Don’t linger in your client’s email boxes forever. They don’t have time to read a novel (at least not until your next bestseller arrives at their bookstore), and they probably don’t want to read an email novel anyway. So make every email easy to navigate and to read, and then let your customers move on with their days. By respecting their time, they’ll appreciate the value you have provided and know that it was a fair exchange of their time to read the email; and they’ll be eager to read your next email as well. If you overstay your welcome, though, your next email just may go straight into the virtual trash can. Here are a few quick tips to take your sales email to the next level. 1. Use your customer’s name twice. Just to make sure your customer knows that you know who you’re talking to, and to assist with that bit of connection and intimacy. 2. Add in a little humor. 3. Be specific with your data. It’s one thing to say you’ve helped over twenty people transform their lives; it’s another to say you’ve helped 62 people exactly. Specific data is more memorable and believable. Trust me, it works. No one wants to be the first to try something out. Show your prospective customers testimonials of other happy customers to help ease any fears they may have. 5. Give them a deadline.